We’ve got three children and two cars so need a lot of car seats. We’ve tried several booster seats, and not been very pleased with any of them. 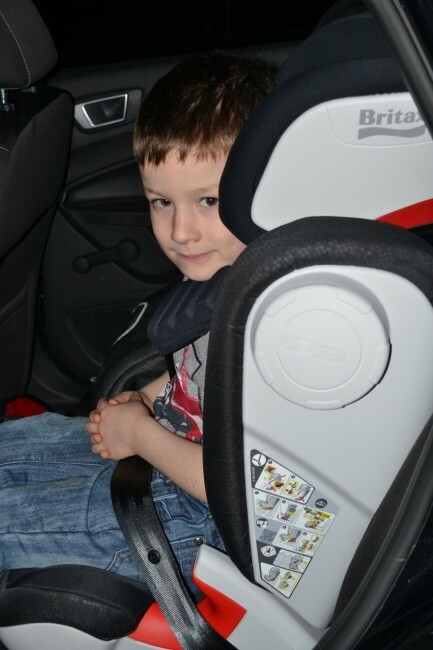 The Britax KIDFIX XP SICT however stands apart from anything else we’ve tried, mostly because it’s ISOFIX. Our smaller car only fits two car seats so there is space in the centre, space that allows non ISOFIX seats to move around. The Britax KIDFIX XP SICT remains still. It’s also very easy to install. The base fits using ISOFIX points (If your car has them -still works fine if not) and even has installation indicators for peace of mind that the seat has been fitted correctly. Another excellent feature is the seatbelt protection sleeve ( XP-PAD). This handy device sheaths the seatbelt so as you draw it around your little one it doesn ‘t rub their neck . More importantly it takes up to 30% of impact forces away from your child’s neck, versus the seatbelt alone. 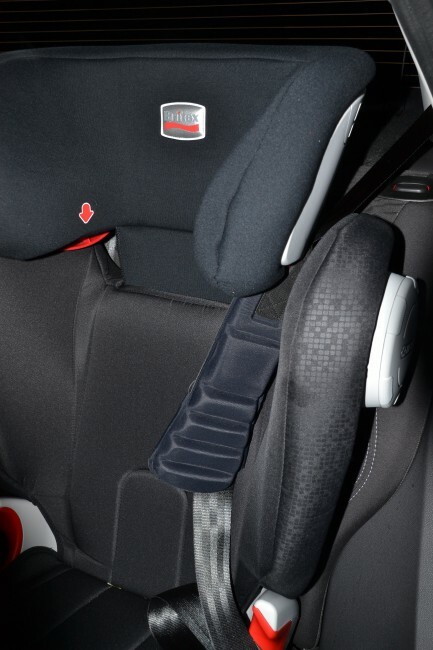 The seat also boasts excellent side impact protection ( SICT ). You simple unscrew the SICT in the side of the seat closest the door and it will absorb some of the impact in case of a collision. The all round protection is very impressive too, it comes right up the back and around the side, and can be adjusted to fit your child. We have quite a big size difference between two of our children so being able to adjust a seat easily to fit each of them is fantastic. The headrest is also adjustable, which will be brilliant as the children grow. We have been very fortunate to receive this seat for review from Britax and will be buying a second one for S. We think this is only proper as this seat is far superior to hers and it doesn’t feel right to have such a difference in standards with the seats our children use. For full details see the Britax website and this video shows you how easy the seat is to install and adjust. We were sent the Britax KIDFIX XP SICT for the purpose of this review.